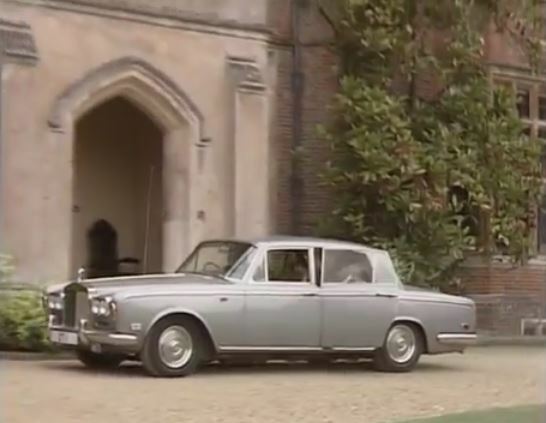 " BRITISH STUDIOS FORGOTTEN ROLLS-ROYCE "
Somehow, people lost track of it with time. I guess most of the previous owners never knew that so many famous people had travelled in it. When I was a young teen, I spent countless hours watching television series on Saturday afternoons. These shows are where I caught my first glimpse of the legendary car. 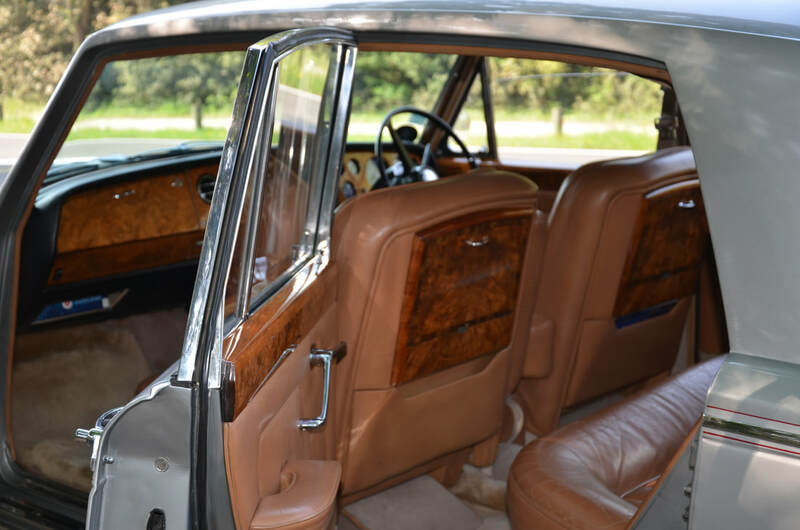 Seeing that Rolls-Royce Silver Shadow for the first time invoked indescribable emotions in me. As a youth, my father took me to the nearby Paris Motor Show. I can remember staring at these cars on the Rolls-Royce/Bentley stand. I was enthralled, staying at the stand for a long time while my father was walking around the show. It was my ambition ever since to own such a car, a "Silver Shadow". In July of 2012, My time came. After much research, I decided to go to England to find one, where there would be more choice than my home country of France. I went to a garage in Kent to view an 1967 Silver Shadow in grey that I had seen in an advertisement. I arrived there and saw, for the first time in my life, fifty Rolls-Royces in one room! It was fabulous. I felt like a young boy in a toy shop. It was here that I chose my Silver Shadow, the only early version available from the seller. I questioned him seller about the car's history, but he knew little about it. All he could tell me was that the mileage was correct compared to the old MOT's and that the previous owner had a limousine company in Portsmouth that rented it for weddings. I proudly drove the car back to France on the Portsmouth to Saint Malo ferry. I then enrolled in the Rolls-Royce Enthusiasts' Club and asked them if they could give me information about this particular car. 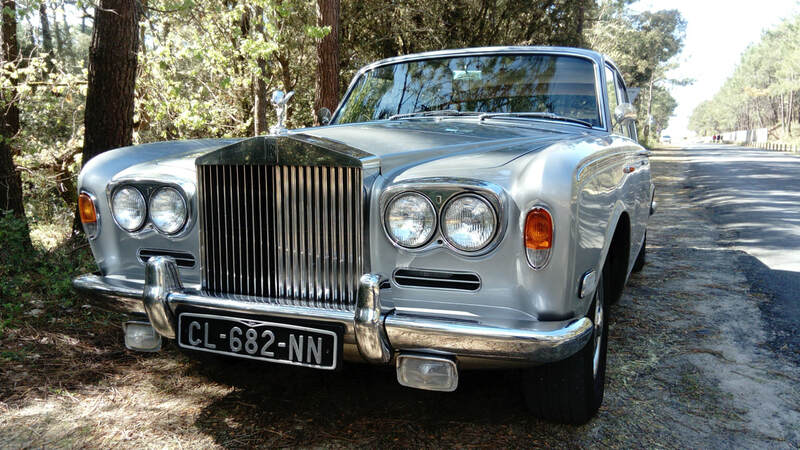 I gave them the chassis number, and a few days later a file arrived from their incredible archiving department containing photocopies of invoices dating from the delivery date in October 1967, to the Rolls-Royce dealer, until the end of the 50,000 mile guarantee period 15 years later. I read that the car was delivered to Robert B. Massey’s garage in Market Weighton, East Yorkshire. It was used as a demonstration model, then sold to James Harrison's Building Company in Edinburgh in March 1968. The file also contained a black and white picture of the car (shown on the first web page) with an insurance paper mentioning the cost of some repairs, on which was written “Insured by MGM British Studios”. I didn't even know that MGM had studios in the UK, but I've been in touch with them ever since. This information began my quest to find out more about the car. I have since learned that the first registration number was MWF 435F, which was changed to OPH2 in the seventies, which has naturally changed several times since. If you look closely at the front, you will notice the side-light on the wings. They are not originals. They were fitted later to make the car look newer. Rolls-Royce only fitted those from 1971, I think...(from 1966 to 1980, the factory made 2000 modifications to this model!) During the first 2 years of production, Rolls-Royce only made 3 or 4 cars per day. 4141 cars were produced with the "Chippendale Dashboard." * The black Rolls-Royce 20/25 used in "To the Manor Born"
If you know any more films or shows that this Rolls-Royce has been featured in, please feel free to contact my page to make an addition. This list is presented in chronological order. Episodes : “I wish you were here”. 1969: MY LOVER MY SON - a film by John Newland with Donald Houston, Romy Schneider and Dennis Waterman filmed at the MGM British Studios where the car had the accident which I mentioned when I found the insurance papers. If you see this film, you will see the collision. 1969: GALTON & SIMPSON COMEDY - Episode " The Suit " with Leslie Phillips and Jenny Linden. Car driven by Leslie Phillips. Episode: A mother's touch, with Shirley MacLaine. with Roger Moore, Tony Curtis and Geoffrey Keen. 1971 : DR WHO - Episode "Day of the Daleks"
" You won't remember me. " 1973 - SOME MOTHERS DO ' AVE 'EM - Episode " George's house " with Michael Crawford, Michele Dotrice. 1973 - SOME MOTHERS DO ' AVE 'EM - Episode " The baby arrives " with Michael Crawford. 1975 - PUBLIC EYE - Episode " The Fatted calf " with Alfred Burke. 1977- THE PROFESSIONALS series 1, Episode " Where the Jungle Ends ". 1977- THE SQUEEZE - Film directed by Michael Apted with Stacy Keach, David Hemmings, Edward Fox. Car driven by Stephen Boyd, his last film. 1979-THE PROFESSIONALS series 4, Episode "Acorn Syndrome". 1979 - MINDER, Season 1 - Episode 1, "Gunfight at the ok Laundrette" car driven by Dave King. 1979- SHOESTRING Season 1, Episode 4 "An Uncertain Circle". With Trevor EVE. 1979- THE PROFESSIONALS, Episode " Week-End in the Country ". 1980 - THE PROFESSIONALS series 4, Episode: Blood Sports. 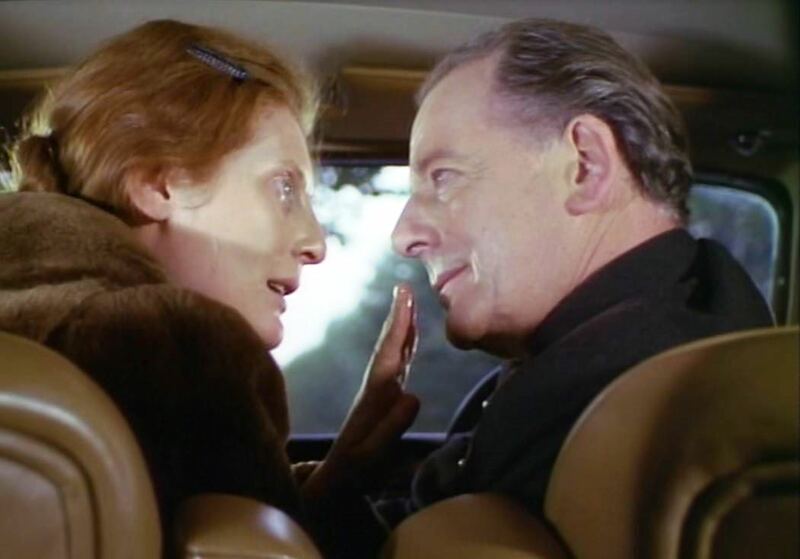 1980- SUNDAY LOVERS, a film directed by Bryan Forbes. Part 1 of the film is called “An Englishman's Home” with Roger Moore and Denholm Elliot. Roger Moore plays a chauffeur and drives the car. The film was shot in Windsor, Heathrow Airport and in France near Bordeaux at the Chateau de Roquetaillade (supposed to be England). 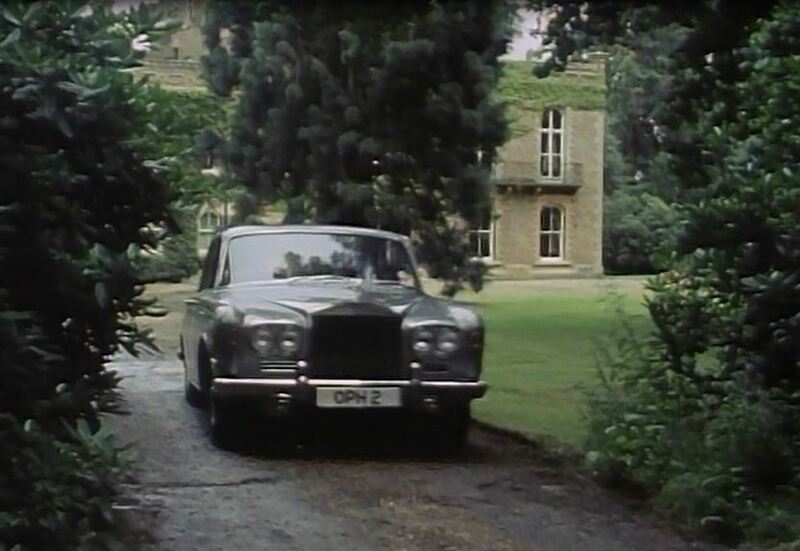 1982-ONLY FOOLS AND HORSES - Lord Ridgemere's car in famous episode: A Touch of Glass. The most wiewed episode of the series. 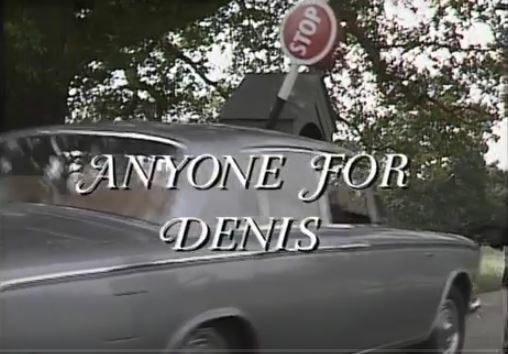 1982 - ANYONE FOR DENIS ? - Comedy written and played by John Wells. 1982- THE PROFESSIONALS - Tv Series - Episode " The untouchables ". Car fitted with fake plates. To help me maintaining and preserving this masterpiece, you can make a donation, which will be much appreciated. Mr. MORETTI from Studiocanal Ltd. London. In " Day of the Daleks " DR WHO. Romy Schneider is running out from her husband ( Donald Houston ) who just bumped into her car in " My lover, my son "
Ian OGILVY in " Return of the Saint "
MINDER episode " Dreamhouse "
Brian Clemens TV series " THRILLER " Episode 'Spell of evil' with Diane Cilento, Jennifer Daniel, Edward de Suza. Veronica STRONG and Robert HARRIS in the Episode " Love all " Season 6 - THE AVENGERS - Nov 1968. In the most seen episode of " ONLY FOOLS AND HORSES " - A touch of glass. Stacy KEACH in " The Squeeze ". Stephen BOYD drives the car. His last film. In " The Acorn Syndrome " TV series " THE PROFESSIONALS "
1979 - Murphy's stroke with Pierce Brosnan and Niall Toibin. In Brian Clemens Tv series " THRILLER "
More pictures in French Section and TV series & films.